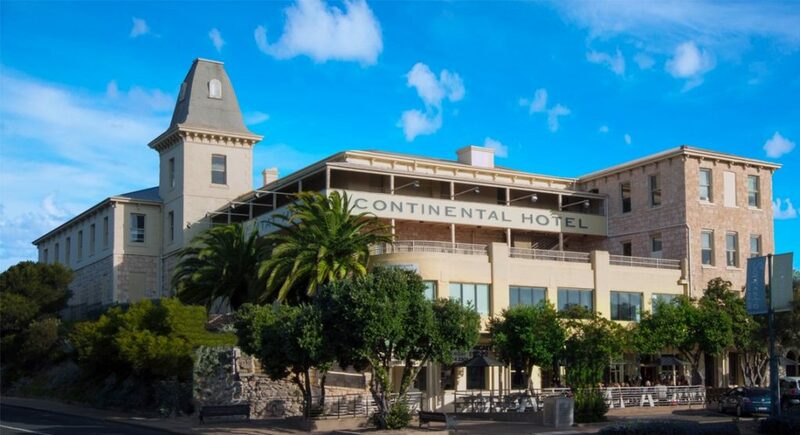 The Continental Hotel is of historical significance to the State of Victoria for its associations with George Coppin businessman, politician and entrepreneur whose enterprise was largely responsible for the development of Sorrento from the 1870s to the 1890s as a seaside resort. Coppin established a number of business ventures associated with the Continental Hotel such as the steamer service from Melbourne and the Sorrento tramway to encourage tourism to Sorrento. The Continental Hotel is of architectural significance to the State of Victoria as a relatively intact example of the type of hotel development popular in the later years of the nineteenth century providing accommodation, entertainment and associated hotel services for wealthy city tourists. The Continental Hotel, constructed of local limestone, is important as a landmark building for the seaside town of Sorrento as it is situated on a prominent site at the entry to the town. The permit application seeks permission for refurbishment of the interior of the Continental Hotel, conservation works, and construction of multi-storey additions to the south and west of the building. The National Trust objects to the proposed development in its current form due to significant concerns regarding the proposed new work and conservation works to the existing hotel. Further, we do not believe that adequate documentation has been provided to justify the proposal.